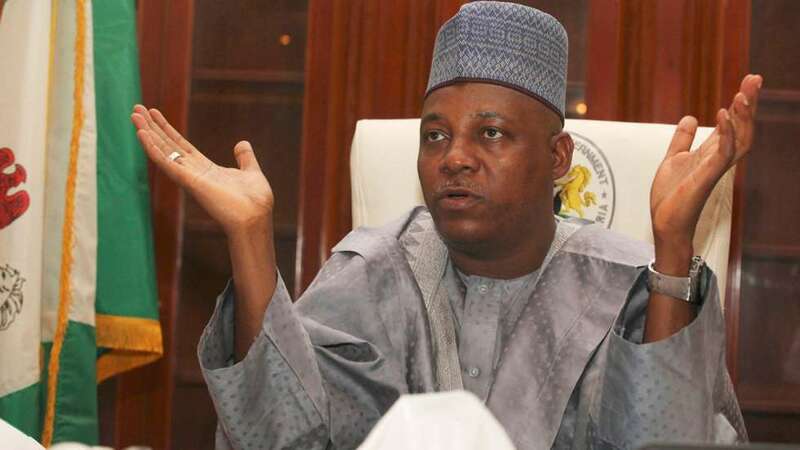 Governor Kashim Shettima, on Tuesday listed two mistakes he said leaders of the All Progressives Congress (APC) in Borno State must not make ahead of the 2019 general election. The Governor spoke when he inaugurated at the Government House, Maiduguri, the APC campaign council and different committees tasked with various activities. He said: â€œThere are two mistakes we should never make. The first mistake will be to underestimate our opponents in any party. There are those who assume that I, Kashim Shettima underrates opponents. They say so because they donâ€™t know me well enough. â€œI do not underrate opponents. What I do is to foresee opponents and neutralize them long before the contest. There were those who thought I was being naive by the way we have been handling things but as Allah would ordain it, the more they underestimate us, the more we succeed, and we succeed without being arrogant. â€œWe recognize that no one succeeds alone. So, I do not underrate opponents. In fact, I overestimate them and that is why I start working well ahead. â€œLadies and gentlemen, even with the immense popularity of President Buhari, I want us to campaign vigorously and mobilize votes for him. I also want us to know, that helping Buhari will not limited to getting him serious votes. It will also entail mobilizing and working legally to deny his opponents votes in the state. â€œThe second mistake we should never make is for anyone to nurse the intention of working against an APC candidate in anyway. As stake-holders you should bear in mind that, your political reputation will lie with your collaborative effort to win all elections within your area. â€œFor instance, loosing MMC, Chibok, Hawul, Askira Uba, Biu or anywhere to PDP will only make stake-holders from these local government areas to loose the legitimacy of bargaining for any political privileges within the APC in Borno State. â€œMore over, you should always bear in minds that electorates are not robots that you tell to vote APC in one ballot paper and vote PDP in another ballot paper. From history, anti party activities are never hidden and they have unpredictable outcomes. â€œAnd I think one question we should wonder is what if we work against any of our candidates and yet he or she wins? When you work against someone as he or she wins an election, it automatically means that you are not relevant. I think it is wiser to help someone you disagree with to win the election so that at least, you have something to boast before such person. â€œI have sounded these notes of caution not based on any particular realities but based on hypothetical possibilities that are inherent in Bornoâ€™s democratic experiences. I urge all of us to bury whatever grievances we have and work together. There are some candidates who were angered in 2015 after losing out. â€œToday, they are flag bearers of our party. I urge us to work for each other. We should always remember that the APC is a vehicle on a journey with all of us on board. When a vehicle is moving with you, it will be suicidal to remove any part of that vehicle otherwise everyone will crash. Perhaps the person who removes the part of the moving vehicle, could be the first casualty. Allah Ya kiyaye!â€ The Governor said.